As employees of this global company, we are at home on the farm, in the city and everywhere in-between. In 2018, we will celebrate, connect to our past and look ahead to the future. Join! Celebrate! You are part of this history. Through food festivals in every region, we will savor the flavors of our rich and varied cultures. And we will give back by volunteering in the communities we call home. Going forward, we will feature videos that bring our history to life and show how our heritage informs the company we are today. We will share milestones and interesting facts about our history. We will share recipes from our food festivals and stories about Bunge 200 volunteer projects in every region. Watch the portal homepage for announcements about events and in your region! 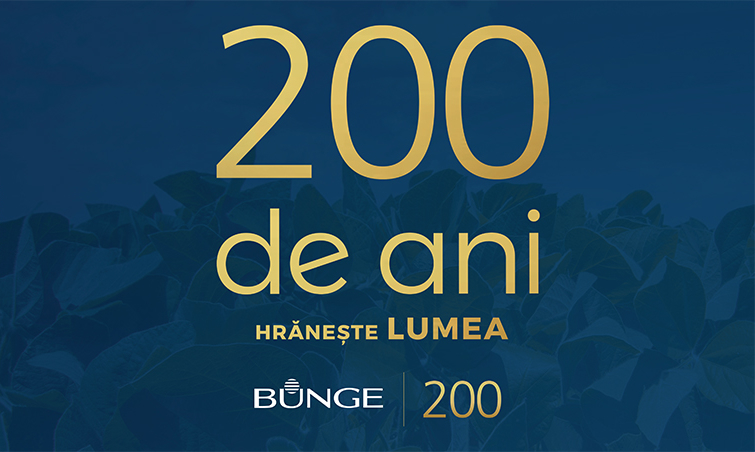 Also feel free to share www.bunge.com/bicentennial with friends, family, customers and stakeholders who would enjoy knowing more about Bunge’s 200 year history.